Tommy Buday of Canada gets the win at the Cold Stroke Classic. A Wrightsville Beach paddleboard race ended with a familiar dramatic finish, as a Canadian edged a South Carolinian to win the Cold Stroke Classic paddleboard race on Saturday, continuing the trend for wins by racers from the Great White North on the banks of Banks Channel. Tommy Buday got his first ever win at the Cold Stroke, when he beat John Boston of Hilton Head by a board length. Based in Montreal, Buday has never competed in the January Cold Stroke race, but has both won and lost the November Surf to Sound race in finishes separated by seconds. Botson said the two jockeyed for position throughout the 7-mile race. “That’s what makes it fun,” Botson said. But the victory continues a trend of success in Wrightsville Beach for racers from Canada, where sprint canoe is a popular sport that offers similarities to SUP racing. 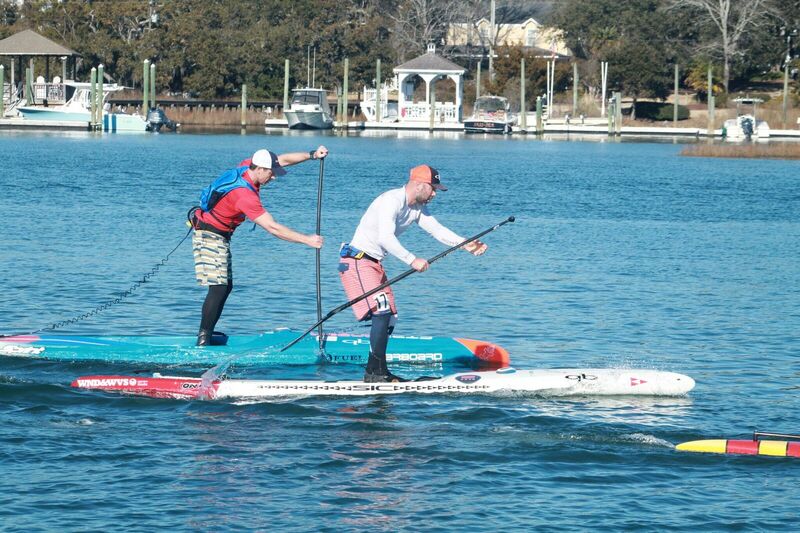 Buday said that not only do Canadian SUP racers like racing in Wrightsville Beach for the favorable weather, they also like the town’s unique access to both flatwater channels and ocean conditions. “Everything’s frozen up there,” Buday said of his home. Results of the training by the Wrightsville Beach Junior Elite Team of youth paddleboard racers showed, as several of the JETS took advantage of the conditions in earning podium spots. Fourteen year old Erin Fitzpatrick won the women’s short course, a 3.5 mile paddle around Harbor Island, while Jenna Blackburn, 15, placed second in the women’s long course of two laps around the island. Both credited their training with the team. Campbell Carter, 12, who two years ago could complete only one mile of the race, was this year the first finisher in the men’s 12’6” division for the short course. “We’ve been training every Saturday. It’s definitely helped a lot,” Carter said. Mason Kober, 9, said he was worried the race would be colder, but with temperatures in the mid-60s, the youngest paddler in the race eventually shed his shirt and finished bare chested while taking the podium for the men’s under-14 division. 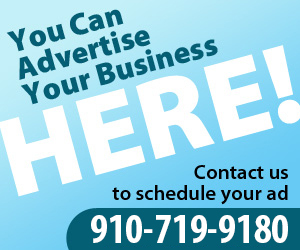 A portion of the event’s proceeds, including a raffle, go to Nourish NC, a charity that provides weekend meals to children who receive free or reduced-priced lunch at school. The charity provides backpacks with a weekend’s worth of food to 1,012 students across New Hanover County. Jeoffrey Nathan, owner of event-sponsor Coastal Urge, said the partnership with Nourish NC is a natural fit for the race.